If he was serious about overturning the Washington establishment, he’d start by ending our constant wars. Granted, our generals have demonstrated an impressive aptitude for moving pieces around on a dauntingly complex military chessboard. Brigades, battle groups, and squadrons shuttle in and out of various war zones, responding to the needs of the moment. The sheer immensity of the enterprise across the Greater Middle East and Northern Africa—the sorties flown, munitions expended, the seamless deployment and redeployment of thousands of troops over thousands of miles, the vast stockpiles of material positioned, expended, and continuously resupplied—represents a staggering achievement. Measured by these or similar quantifiable outputs, America’s military has excelled. No other military establishment in history could have come close to duplicating the logistical feats being performed year in, year out by the armed forces of the United States. Nor should we overlook the resulting body count. Since the autumn of 2001, something like 370,000 combatants and noncombatants have been killed in the various theaters of operations where US forces have been active. Although modest by 20th-century standards, this post-9/11 harvest of death is hardly trivial. Yet in evaluating military operations, it’s a mistake to confuse how much with how well. Only rarely do the outcomes of armed conflicts turn on comparative statistics. Ultimately, the one measure of success that really matters involves achieving war’s political purposes. By that standard, victory requires not simply the defeat of the enemy but accomplishing the nation’s stated war aims, and not just in part or temporarily but definitively. Anything less constitutes failure, not to mention utter waste for taxpayers, and for those called upon to fight, it constitutes cause for mourning. By that standard, having been “at war” for virtually the entire 21st century, the United States military is still looking for its first win. And however strong the disinclination to concede that Donald Trump could be right about anything, his verdict on American generalship qualifies as apt. As to the first question, the explanation is quite simple: During protracted wars, traditional standards for measuring generalship lose their salience. Without pertinent standards, there can be no accountability. Absent accountability, failings and weaknesses escape notice. Eventually, what you’ve become accustomed to seems tolerable. Twenty-first-century Americans inured to wars that never end have long since forgotten that bringing such conflicts to a prompt and successful conclusion once defined the very essence of what generals were expected to do. Today, for example, Army General John Nicholson commands US and allied forces in Afghanistan. He’s only the latest in a long line of senior officers to preside over that war, beginning with General Tommy Franks in 2001 and continuing with Generals Mikolashek, Barno, Eikenberry, McNeill, McKiernan, McChrystal, Petraeus, Allen, Dunford, and Campbell. The title carried by these officers changed over time. So, too, did the specifics of their “mission” as Operation Enduring Freedom evolved into Operation Freedom’s Sentinel. Yet even as expectations slipped lower and lower, none of the commanders rotating through Kabul delivered. Not a single one has, in our president-elect’s concise formulation, “done the job.” Indeed, it’s increasingly difficult to know what that job is, apart from preventing the Taliban from quite literally toppling the government. In Iraq, meanwhile, Army Lieutenant General Stephen Townsend currently serves as the—count ’em—ninth American to command US and coalition forces in that country since the George W. Bush administration ordered the invasion of 2003. The first in that line, (once again) General Tommy Franks, overthrew the Saddam Hussein regime and thereby broke Iraq. 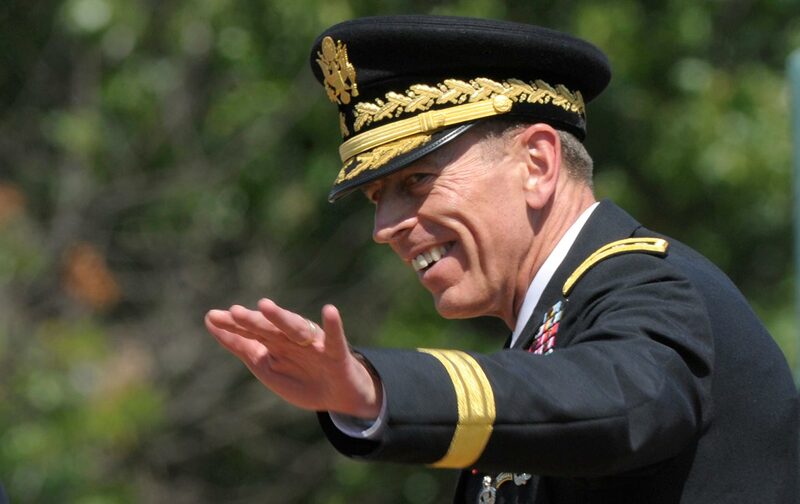 The next five, Generals Sanchez, Casey, Petraeus, Odierno, and Austin, labored for eight years to put it back together again. At the end of 2011, President Obama declared that they had done just that and terminated the US military occupation. The Islamic State soon exposed Obama’s claim as specious when its militants put a US-trained Iraqi army to flight and annexed large swaths of that country’s territory. Following in the footsteps of his immediate predecessors Generals James Terry and Sean MacFarland, General Townsend now shoulders the task of trying to restore Iraq’s status as a more or less genuinely sovereign state. He directs what the Pentagon calls Operation Inherent Resolve, dating from June 2014, the follow-on to Operation New Dawn (September 2010-December 2011), which was itself the successor to Operation Iraqi Freedom (March 2003-August 2010). When and how Inherent Resolve will conclude is difficult to forecast. This much we can, however, say with some confidence: With the end nowhere in sight, General Townsend won’t be its last commander. Other generals are waiting in the wings with their own careers to polish. As in Kabul, the parade of US military commanders through Baghdad will continue. For some readers, this listing of mostly forgotten names and dates may have a soporific effect. Yet it should also drive home Trump’s point. The United States may today have the world’s most powerful and capable military—so at least we are constantly told. Yet the record shows that it does not have a corps of senior officers who know how to translate capability into successful outcomes. That brings us to the second question: Even if commander-in-chief Trump were somehow able to identify modern-day equivalents of Grant and Sherman to implement his war plans, secret or otherwise, would they deliver victory? So, yes, Trump’s critique of American generalship possesses merit, but whether he knows it or not, the question truly demanding his attention as the incoming commander in chief isn’t: Who should I hire (or fire) to fight my wars? Instead, far more urgent is: Does further war promise to solve any of my problems? As a candidate, Trump vowed to “defeat radical Islamic terrorism,” destroy ISIS, “decimate Al Qaeda,” and “starve funding for Iran-backed Hamas and Hezbollah.” Those promises imply a significant escalation of what Americans used to call the Global War on Terrorism. Toward that end, the incoming administration may well revive some aspects of the George W. Bush playbook, including repopulating the military prison at Guantánamo Bay, Cuba, and “if it’s so important to the American people,” reinstituting torture. The Trump administration will at least consider reimposing sanctions on countries like Iran. It may aggressively exploit the offensive potential of cyber-weapons, betting that America’s cyber-defenses will hold. Yet President Trump is also likely to double down on the use of conventional military force. In that regard, his promise to “quickly and decisively bomb the hell out of ISIS” offers a hint of what is to come. His appointment of the über-hawkish Lieutenant General Michael Flynn as his national-security adviser and his rumored selection of retired Marine Corps General James (“Mad Dog”) Mattis as defense secretary suggest that he means what he says. In sum, a Trump administration seems unlikely to reexamine the conviction that the problems roiling the Greater Middle East will someday, somehow yield to a US-imposed military solution. Indeed, in the face of massive evidence to the contrary, that conviction will deepen, with genuinely ironic implications for the Trump presidency. In the immediate wake of 9/11, George W. Bush concocted a fantasy of American soldiers liberating oppressed Afghans and Iraqis and thereby “draining the swamp” that served to incubate anti-Western terrorism. The results achieved proved beyond disappointing, while the costs exacted in terms of lives and dollars squandered were painful indeed. Incrementally, with the passage of time, many Americans concluded that perhaps the swamp most in need of attention was not on the far side of the planet but much closer at hand—right in the imperial city nestled alongside the Potomac River. Were Trump really intent on draining that swamp—if he genuinely seeks to “Make America Great Again”—then he would extricate the United States from war. His liquidation of Trump University, which was to higher education what Freedom’s Sentinel and Inherent Resolve are to modern warfare, provides a potentially instructive precedent for how to proceed. True, such an approach may seem a bit draconian. But this is no time for half-measures—as even Donald Trump may eventually recognize.